A serious injury adds undue stress, expenses, and pain to your life, and it might not have been your fault. If you’ve been injured and need help fighting for your compensation, get help from a Clearfield personal injury attorney. When we’re injured, it can be tough to recover without dealing with high expenses and plenty of pain. It’s a difficult situation, but many people will suffer through serious injuries. Unfortunately, you might be one of those people, and it might not have been your fault. What can you do when an accident happens and you didn’t cause it? It’s a tough situation when you’re suffering for someone else’s actions. Fortunately, a Clearfield personal injury lawyer from Craig Swapp & Associates can help when you’re hurt and need compensation. When you’ve been injured, you should be able to file a personal injury claim, but that’s not always so simple. Utah laws can affect your claim, and you could lose your compensation before you even begin. First, watch for the time limits on your claim. You’ll only have four years to file your claim, which means that if you don’t act in time, you’ll lose your chance to file. You’ll be barred from compensation, meaning you’ll be the one to pick up the costs of your injuries. Once you reach the courtroom, you could still face some trouble. Utah’s negligence law states that your compensation will be reduced by what you’re at fault for. So, if you were deemed responsible for 15 percent of the accident, you’ll receive 85 percent of your compensation. If you’re found over 50 percent responsible, you won’t be allowed to recover anything. Whether you were hit by another driver, or you bought a defective product, or you slipped and fell at the local store (or something else entirely), your damages are serious and should be compensated. You’ve suffered for the responsible party’s actions both financially and nonfinancially. It’s tough to determine your non-economic damages without help, so speak to your attorney about these damages. Your lawyer will have the tools to find the worth of your damages, from non-economic damages to future losses to everything in between. For example, you might be unable to work, and you’ll need to determine what that loss is worth. When you’re seriously injured, you’ll need help getting the compensation you’re owed. Whether you were injured in a motorcycle wreck or by a dog attack or some other way, your injuries could be severe and overwhelming. As such, you’ll need someone who can fight for your compensation. 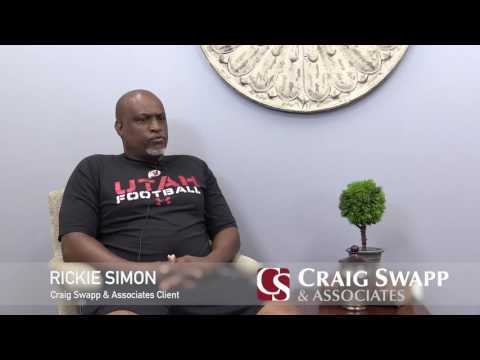 At Craig Swapp & Associates, we understand how difficult it can be to juggle a claim on your own, but we can help. Seek out help today, starting with a free consultation. We’ll discuss your claim and what steps we’ll take to get your compensation so you can focus on recovery. Ready to get started? Reach out to a Clearfield personal injury lawyer by calling 1-800-404-9000 or by filling out the online form below.